My first passion for film evoked when I was about 10 years old and a friend of mine bought a small VHS camera. Beginning with some little fun, we were soon reshooting our favorite movies and shows (e.g. James Bond) with our own small story lines. These projects continued during my schooldays and after finishing school I had to choose what to do as a job later on. So why not try your passion & hobby to become your job? In 2006 I moved to Munich to study “Film & Television” with focus on cinematography at MHMK Hochschule. During the time there, I meet many people, which shared my passion and with them a lot of projects were shot. 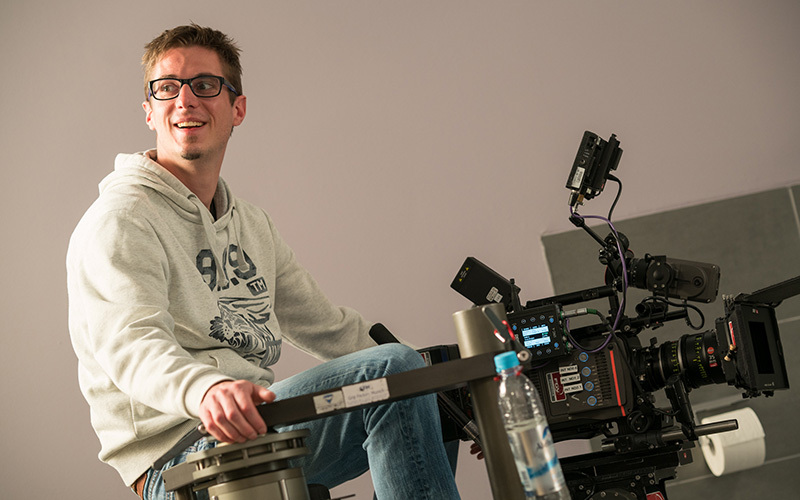 During my internship term in 2008 I spend my time at Weisscam GmbH in Munich – a development company for highspeed cameras founded by DoP Stefan Weiss a few years earlier. During that time the Weisscam HS-2 was in development and I soon became a member of the development team – an area which was totally new but very fascinating. But it was not only about developing a camera. Weisscam is also a production company, which offers technical production and man-power for different shootings – of course mainly for commercials using highspeed cinematography. So I also got to do many commercials and TV shows as a highspeed-operator (and 1st AC/DoP depending on the project). After finishing my internship I stayed at Weisscam GmbH since the beginning of 2009 – continuing the development of the Weisscam HS-2 and shooting commercials. Besides that I shot a lot of shorts in 2009, the year of thesis films with my colleagues from university. The year ended with my own thesis film “Beyond the line” in late 2009. In 2010-2012 I was product manager & highspeed supervisor at Weisscam GmbH continuing development and shooting. If any projects come up, where my expertise is needed – give me a call or write an email!